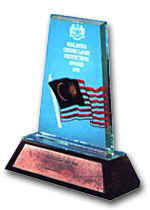 In 1995, we were awarded the prestigious MOLPA award for our recycling and conservation efforts. Each item that leaves our facility is 100% CFC and HCFC free and completely recyclable. This further strengthens our resolve in keeping our environment safe, clean and healthy for future generations of Malaysians.